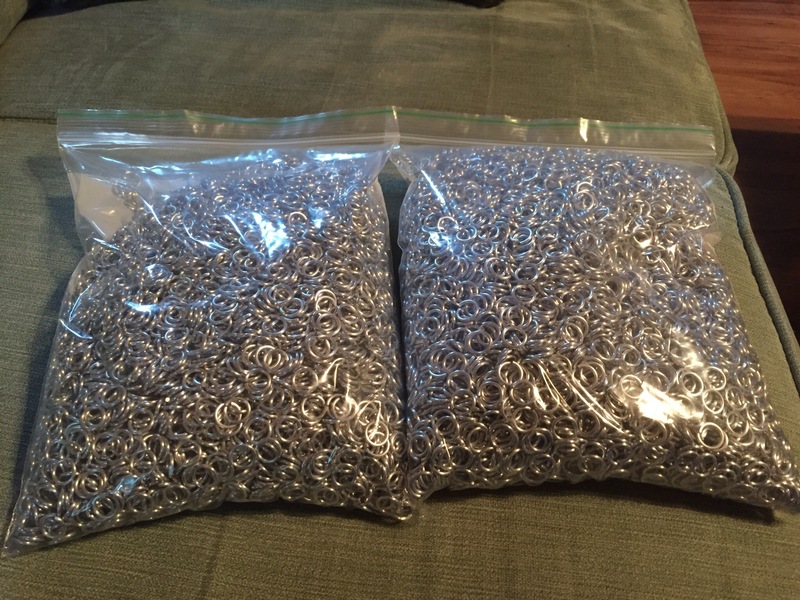 You’re looking at 15,000 rings of 16ga Anodized Aluminum, 5/16th in size. It “might” be enough to make a Hauberk, or Chainmaille shirt. The Velvet Zebra found a willing volunteer to wear our very first piece of maille clothing – an incredibly talented artist. Hopefully when we have it finished for him, he will still feel that way! Stay tuned for progress reports.